Greenhouse Fabrics: Greenhouse Launches 50% Off All Trim Sale! Greenhouse Launches 50% Off All Trim Sale! 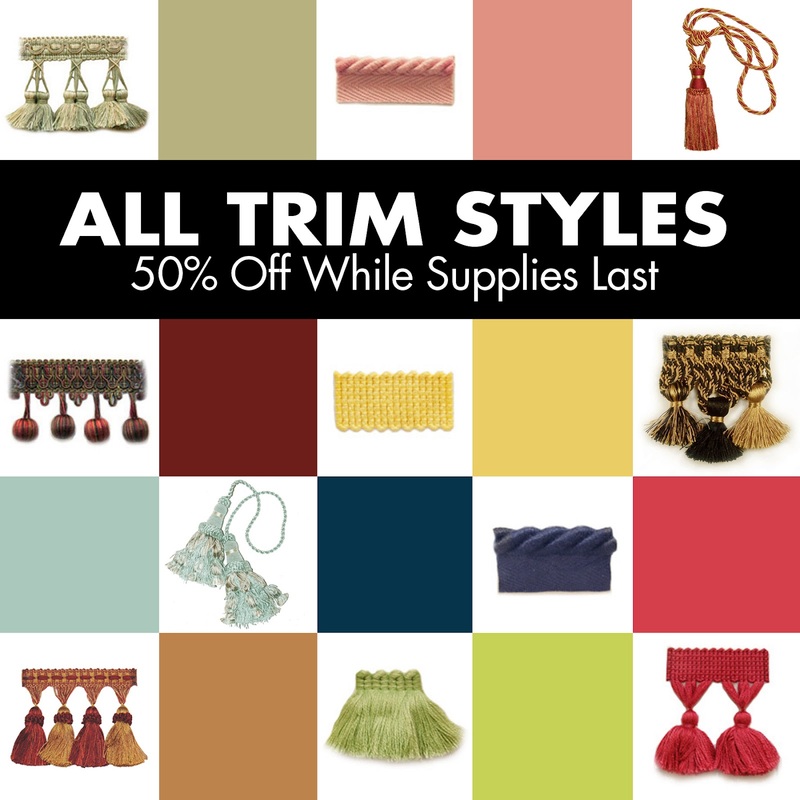 Greenhouse is excited to launch a 50% off all trim sale! Greenhouse will no longer be running any trim, but we want you to take advantage of purchasing what is left! All trim that is already in stock will be available for 50% off, whether you order online or through the website. No trim will be re-ordered so make sure to place your orders early! Come check out our colorful selection before it's gone! We may be discontinuing trim, but we are fully engaged in launching new fabrics every month! For 2012 we have new fabrics coming monthly, including fabrics exclusive to Greenhouse! Check out www.greenhousefabrics.com to view the latest sample books! Visit our website to start shopping our trim and to take advantage of this great offer!